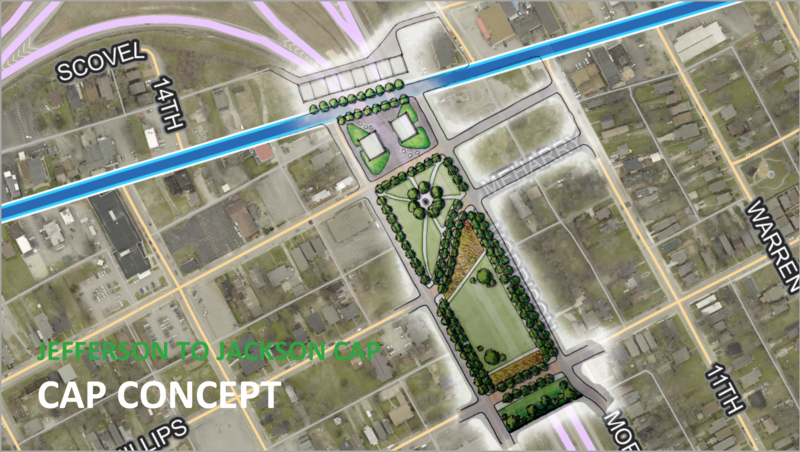 This rendering of Jefferson Street envisions more trees and public art, and a wider "land bridge" over Interstate 40 that allows for development or a park. ... and envisioned with a "land bridge" over Interstate 40. Jefferson Street as it looks today, facing east. 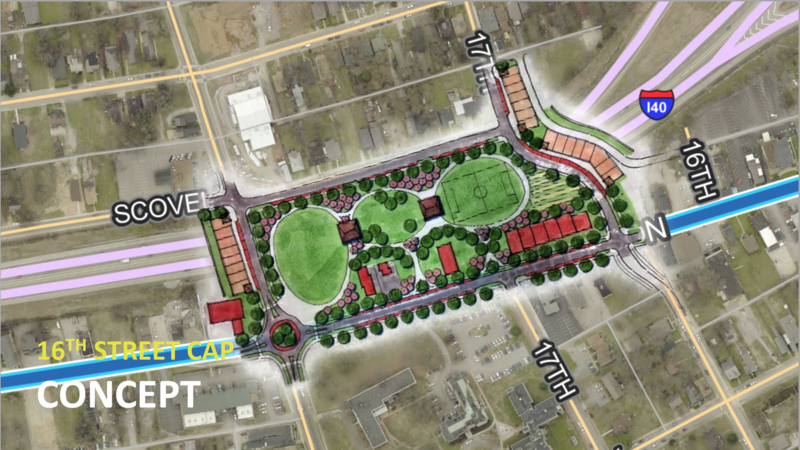 North Nashville’s Jefferson Street got a blitz of attention this week when urban planning experts came to town to help residents envision a revitalized future for the corridor. That task, though, is complicated by its past. 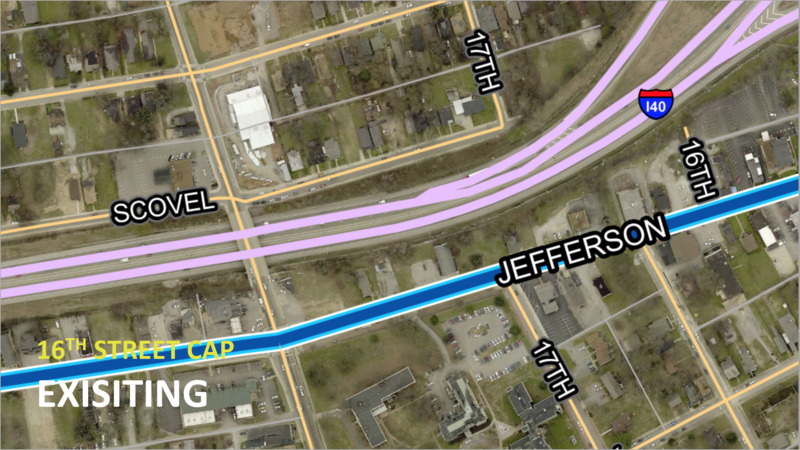 The task is being taken up because of Jefferson Street’s selection as one of four “Every Place Counts” programs run by the U.S. Department of Transportation. 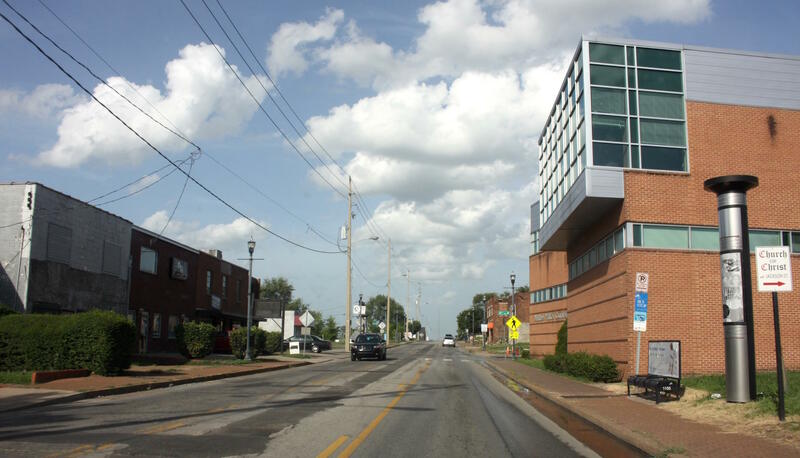 The federal effort seeks to reverse the harm done by the construction of Interstate 40 in the 1960s, which divided what had been the a hub of African-American business and culture. “When I-40 came through, it created dead ends. 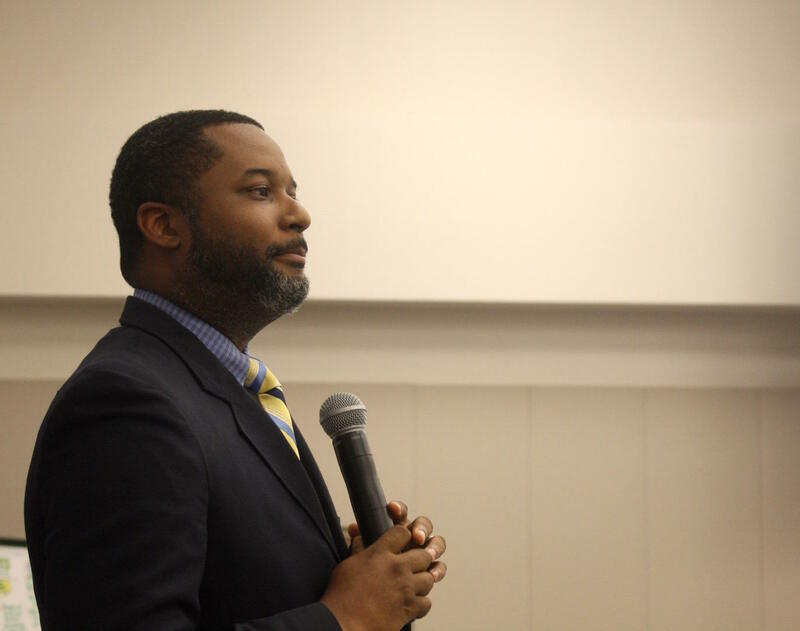 … That was a real barrier for a lot of people economically,” said Lonnell Matthews, who grew up near Jefferson and now runs the Mayor’s Office of Neighborhoods. As it stands, the street is now home to a smattering of independent businesses, vacant lots, and blighted buildings — and quite a bit of new construction, which some say makes smart urban planning an urgent issue. Urban planners channeled the wishes of residents into quick sketches that show a tree-lined Jefferson Street with wide sidewalks and several traffic roundabouts. They sought more green space, public art and affordable housing. Planners picture about 20 vacant lots as assorted businesses, including a concert hall where musicians live on site. And the design team was really excited about so-called “land bridges.” These are super-wide overpasses that span the interstate — and that serve as grassy parks, instead of roads. Sketches showed a series of four such bridges, or “capped interstates,” from 28th Avenue in the west to the cut of I-40 that has created a gulf between Jefferson and Jackson streets. 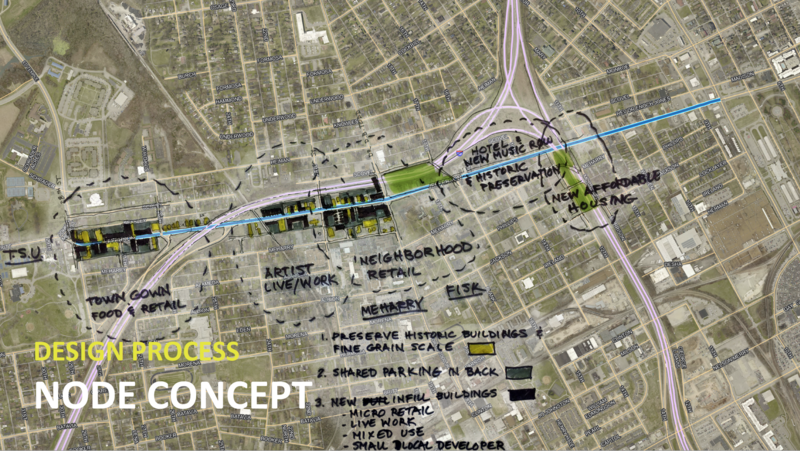 A quick concept sketch shows potential hubs of activity for Jefferson Street. Yet for all the big ideas, some residents are wary. “You know, I’d like to see more discussion with landowners, property owners, etc., about how they are impacted,” said Janice Overton, who was among landowners who pushed back against a police headquarters plan that targeted Jefferson. Along with others, her comment sent federal officials and designers like Ian Lockwood backpedaling. They insisted the two-day session was just the start of a longer conversation. Yet the question-and-answer period maintained a skeptical tone. 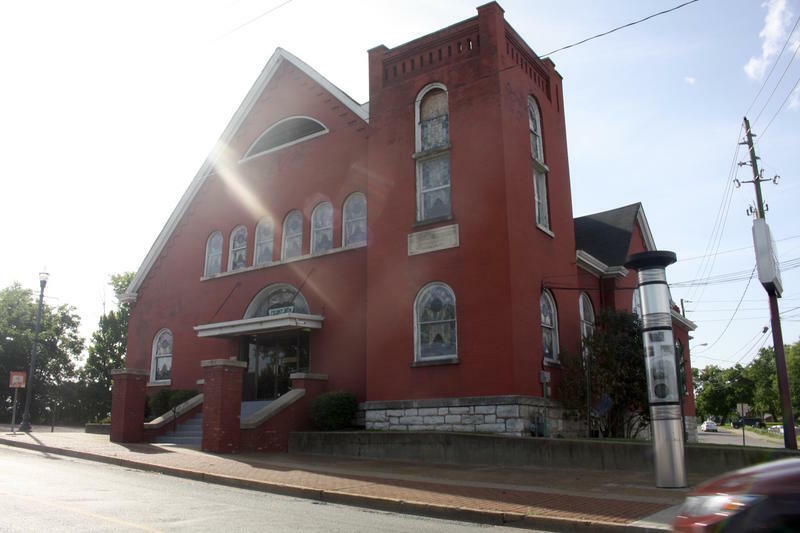 “(The plan) looks like it would be a major impact to the community in terms of displacing businesses and many residents,” said Nashvillian Jim Murrell. He asked for future town hall meetings. “This was not very well advertised in terms of having the community who is really going to be impacted to come and say, ‘Hey, looks good, but I don’t know if we, you know, want this,’ ” he said. Reflecting as a new associate professor at Meharry Medical College — where the meetings were held this week — Wansoo Im also asked to hear more about displacement of current residents. Lonnell Matthews, director of the Mayor's Office of Neighborhoods. “The displacement is not going to happen because of the design, but because of the high cost of living — and the rent,” he said. Officials said the work will continue, and that substantial funding could help to turn any agreed-upon ideas into reality.